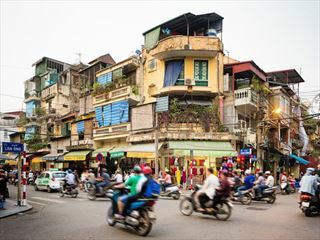 We love this Far East holiday combining the vibrant Vietnam city of Hanoi, an overnight cruise in spectacular Halong Bay and then a week relaxing on a Thai beach. 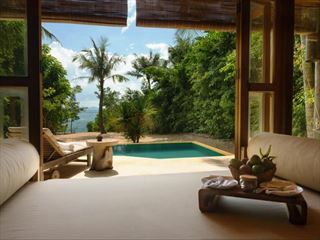 You’ll discover the history & culture of Vietnam and experience the relaxation & pleasure of stay in Thailand. 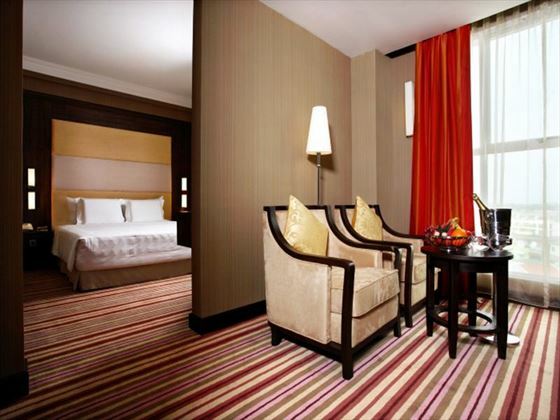 Halong Bay is a must-see UNESCO World Heritage Site, with its emerald waters and towering limestone islands. You’ll have time to really experience the beauty of this Bay, as you cruise on a traditional boat, enjoying meals on board and overnighting in a cabin. Wake early so that you can experience Halong Bay at its best in the early morning light. 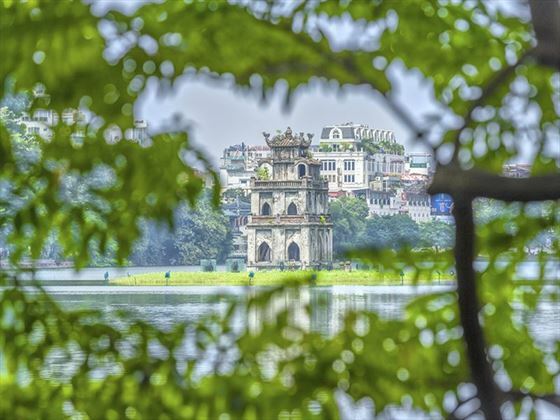 Hanoi is the capital of Vietnam and is loved for its centuries old architecture with South-East Asian, Chinese and French influences. You’ll find ancient pagodas and unique museums, plus buzzing street markets and atmospheric restaurants with delicious food. 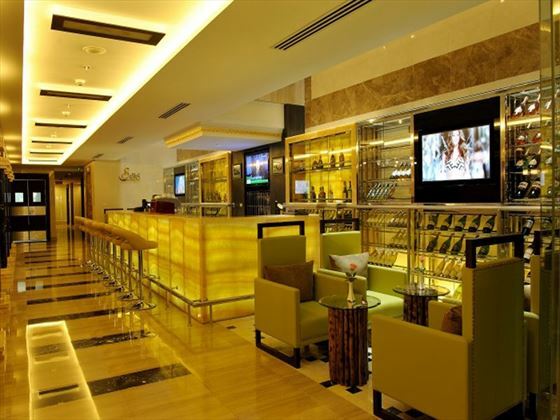 In both countries, you’re sure to enjoy the local food – both cuisines centred around a balance of salty, sweet, sour and hot flavours, but with a wide variety of dishes to appeal to everyone (TM - LT). 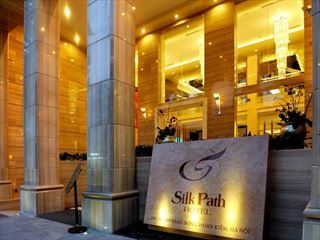 Arrive in Hanoi and check into your hotel for 2 nights. 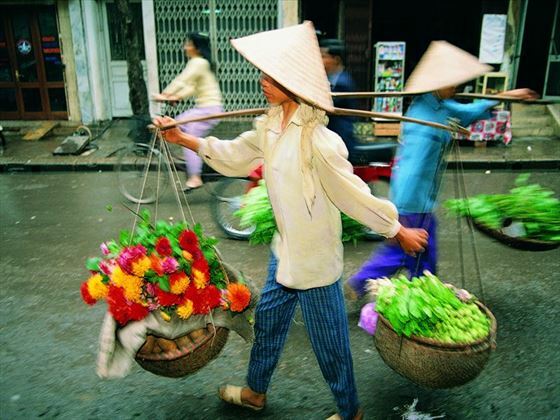 This is a wonderfully diverse city and the perfect base as an introduction to the history and culture of Vietnam, get an understanding of the Vietnamese story through museums such as National Museum of Vietnamese History and the Ho Chi Minh Mausoleum, stroll the streets of the Old Quarter and dive into the wonderful cuisine with a wealth of restaurants and street markets. Following breakfast leave Hanoi for a 3hr 30mins drive to Halong where you will board your traditional sailing vessel for your overnight cruise in the spectacular Halong Bay. Lunch will be served as you cruise past the limestone karsts and watch the river traffic; after lunch enjoy visiting the ‘Surprising Cave’ before the boat sets anchor for the night and dinner is served on board. 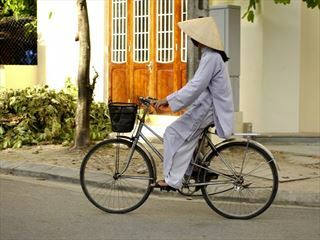 The following morning start the day early with Tai Chi, and more scenic exploration before returning to the dock around midday, where you will transfer to Hanoi airport for your late afternoon flight to Thailand. 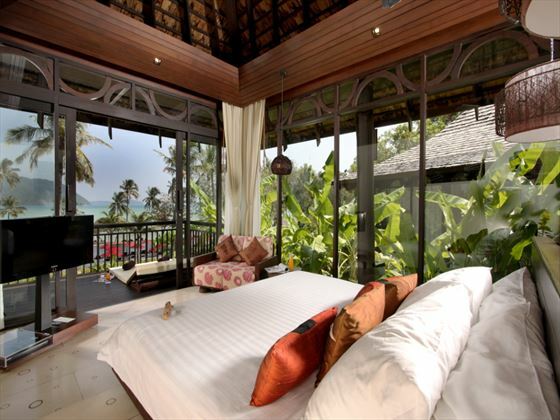 You may want to stay in Bangkok for a couple of nights, or you can flight straight to Phuket. 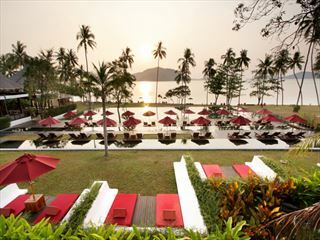 Choose your Thailand beach hotel, depending whether you want a romantic getaway or a fun resort. We recommend the Vijitt Resort in the south of Phuket, a lovely resort nestled by a secluded beach, but which also runs a daily shuttle service to other beaches and Old Town Phuket. 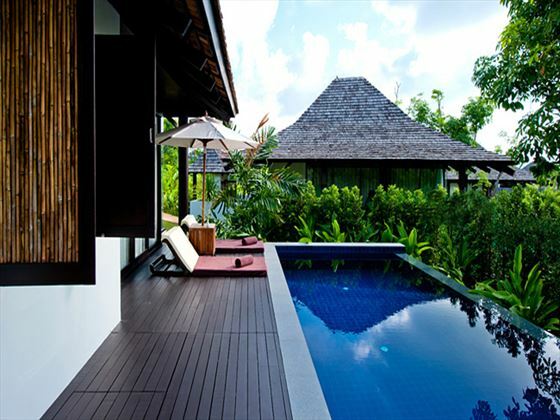 This villa-only hotel is set in beautiful gardens and also offers bike rental, marine & botanical guided walks, Thai boxing and Thai Yoga classes.